LAS VEGAS, Jan. 10th, 2018 – The world’s largest electronics sourcing fair, International CES, opened yesterday at Las Vegas Convention Center. 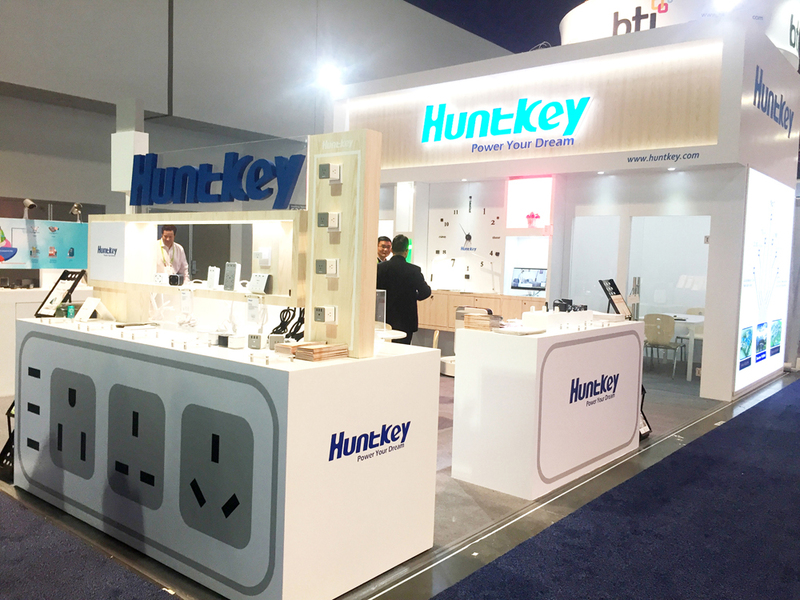 Huntkey, a leading global smart home solution’s provider, is exhibiting at CES2018. 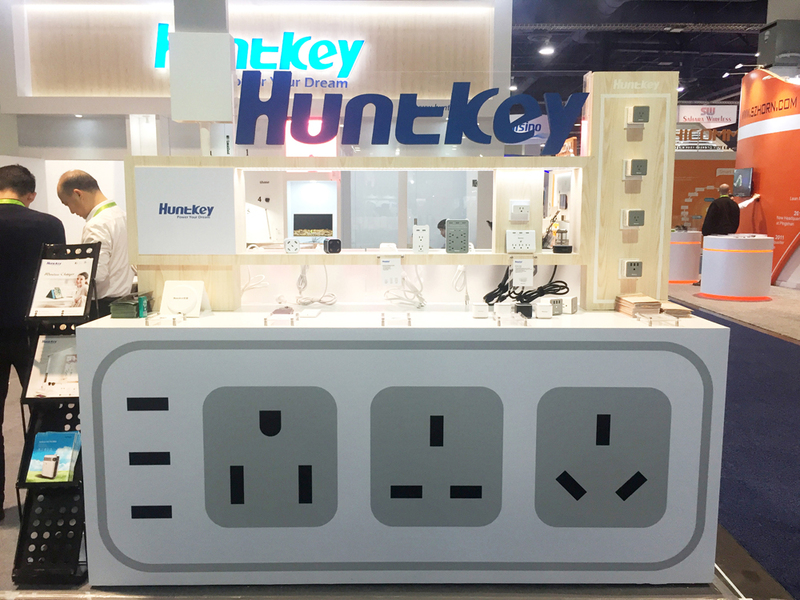 There are three different kinds of smart home products at Huntkey booth, smart power strips, smart LED lighting products and smart home appliances. The SmartC USB charging station makes its debut at the CES. With four USB charging ports and one type-C port, it can charge five devices at the same time. The updated charging station SmartU Plus is also exhibiting at the fair. Compared with the previous SmartU, the SmartU Plus has two more USB ports, there are six USB ports that share 8amp’s output. The magic outlets have two models this year, the SMC005 has five AC sockets while the SMC007 has four AC sockets and three USB ports that share 3.1 amp’s power. Huntkey also have wireless charger to meet mobile market’s demand. There are also different standards smart power strips for different countries. 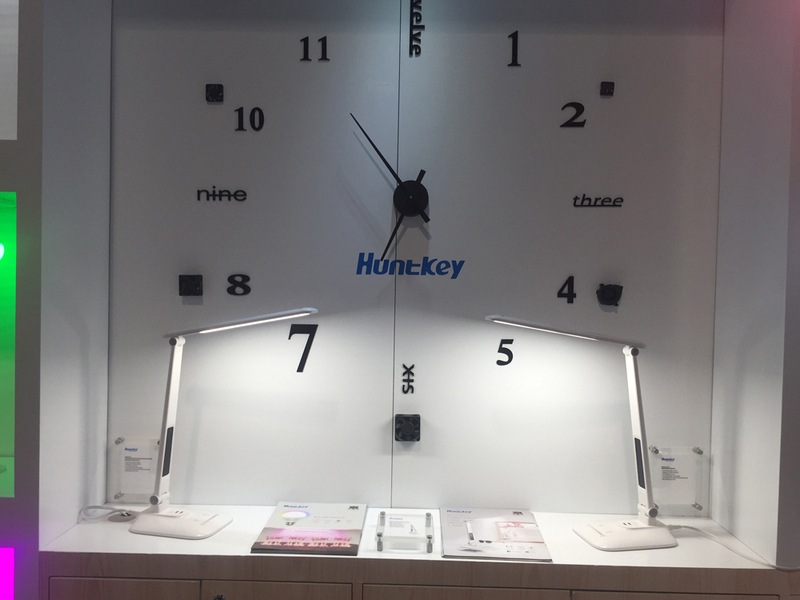 Many people are attracted by the dimmable LED light bulb at Huntkey booth, the light bulb is dimmable and can be controlled via App on the phone, and it costs 84% energy less than traditional light bulb. The multi-function LED desk lamp has a built-in calendar and an alarm clock to remind people the date and the time. It’s also equipped with two USB ports that can charge two devices at the same time. Huntkey also presents a LED plant grow light. The smart air purifier is different from other air purifiers on the market, it adapts photocatalyst technologies to decompose airborne hazards to avoid secondary pollution. It can be controlled via App and the operating modes can be adjusted. Huntkey also has industrial power supplies and industrial adapters that used for CCTV camera, robot, micro projector, POS, parking system and so on. 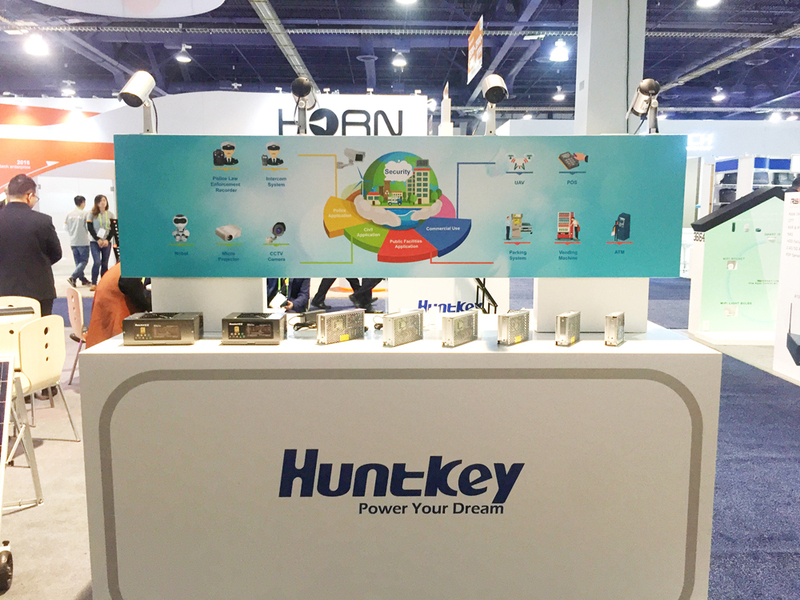 For more excellent product experience, please visit the Huntkey booth. Huntkey Enterprise Group, founded in 1995 and headquartered in Shenzhen, is a member of The International Power Supply Manufacturer’s Association (PSMA) and a member of The China Power Supply Society (CPSS). With branch companies in the USA, Japan and other areas, and cooperating factories in Brazil, Argentina, India and other countries, Huntkey has specialized in the development, design, and manufacturing of PC power supplies, industrial power supplies, surge protectors, adapters and chargers for many years. With its own technologies and manufacturing strength, Huntkey has served Lenovo, Huawei, Haier, DELL, ZTE, Bestbuy and many other large enterprises for years, and has received unanimous recognition and trust from most of the customers. For more information about Huntkey, please visit http://www.huntkey.com/.